The record shows that the Russian government is right to be skeptical of Western guarantees. Exactly four years ago, the United States and its allies were bitterly rebuked by Vladimir Putin when he said, “They have cheated us again and again, made decisions behind our backs, presenting us with completed facts”. The Russian president’s comments were accurate, which one can presume is why the remarks were so universally derided in the West. 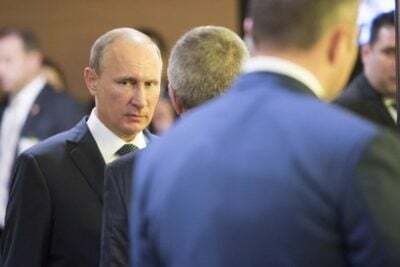 Putin had been defending his March 2014 reintegration of the Crimea to Russia. The peninsula had been part of Russian territory from 1783 to 1917, then later under the sphere of the USSR for seven decades. The Crimea’s reunification to Russia was a direct response to the American-led toppling of a democratic government in the Ukraine, a country along Russia’s border. Russia had a far stronger case to incorporate the Crimea than America had, for example, in its seizure of Guantanamo from Cuba in 1903. Following the 1959 Cuban revolution, which deposed the US-backed Fulgencio Batista dictatorship, repeated demands for Guantanamo’s return have been rejected. The US has no discernible right to continue holding Guantanamo, except through use of its unmatched force. There are no historical or social connections between the area that contains one of Cuba’s major ports, and the superpower to the north. 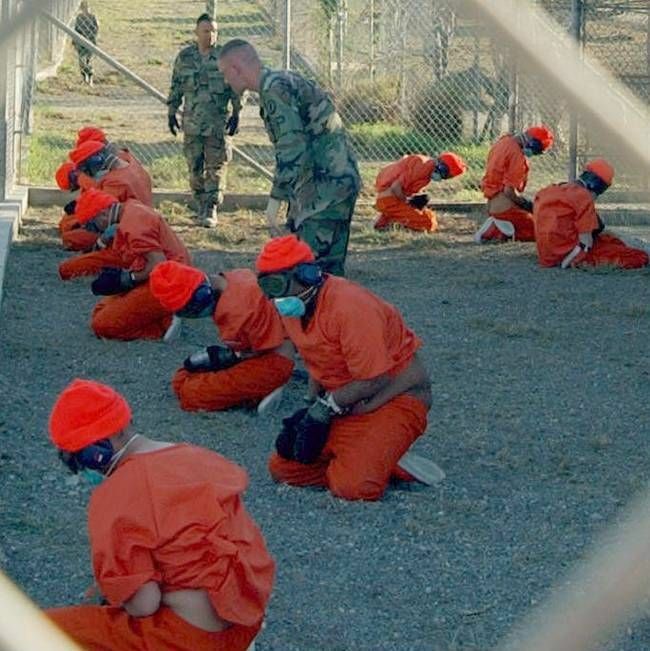 What’s more, at the Guantanamo military prison, opened by George W. Bush in 2002, the US has overseen some of the worst human rights violations in the Western hemisphere. Scratch the surface and other things become apparent. American control over Guantanamo, which is on Cuba’s south coast, hampers the island’s development. It further allows the US easy access not just to the Caribbean Sea, but also to the North Atlantic Ocean, with its huge riches. Unlike Guantanamo’s non-relationship to the US, the Crimea has extensive historical ties to Russia, including significant local support and cultural links. During the middle of World War II, many thousands of Russian soldiers gave up their lives defending the Crimea’s largest city, Sevastopol, from a huge Nazi-led onslaught (Siege of Sevastopol, October 1941-July 1942). The city was later retaken by the Red Army during the spring 1944 Crimean offensive. “Challenging borders by force is contrary to international law”. France had previously been a long-time imperial power. Between 1954 and 1962, for example, over a million Algerians were killed by France during the north African country’s war of independence. Algerian nationalists were attempting to at last rid themselves of a French colonial empire that took control in 1830. Meanwhile, when Russia reintegrates a past territory (the Crimea) to its control, which saw three people lose their lives, it counts as a major international crime in the Western playbook. When the US and its NATO allies invade Iraq or Libya, killing countless thousands, the consequences are quickly consigned to history. NATO enlargement has indeed moved to Russia’s borders: Latvia and Estonia, both situated along Russia’s frontiers, joined NATO in 2004. The northern section of Estonia’s border is less than a hundred miles from St Petersburg, one of Russia’s landmark cities. Putin’s assertion that the West has “cheated us again and again”, may refer partly to president Mikhail Gorbachev‘s generous concession as the USSR was collapsing. In 1990, Gorbachev agreed to allow a reunified Germany to join NATO. In return, he was given verbal guarantees by president George Bush senior, and his Secretary of State James Baker, that NATO would not move “as much as a thumb’s width further to the east”, in other words onto East Germany. Immediately, Bush violated his word by expanding NATO to Germany’s eastern half – explaining to an irate Gorbachev that the agreement was only a spoken one, and not written on paper. In 1999, Bill Clinton accelerated NATO membership with the accession of Poland, Hungary and the Czech Republic, all former members of the USSR-led Warsaw Pact. Clinton undertook such policies despite repeated warnings from the likes of George Kennan (image on the right), one of the most highly regarded of America’s post-World War II strategic planners. In 1998 Kennan, who had always opposed NATO’s existence, described the organization’s impending further expansion as “the beginning of a new Cold War… There was no reason for this whatsoever. No one was threatening anybody else. This expansion would make the Founding Fathers of this country turn over in their graves”. 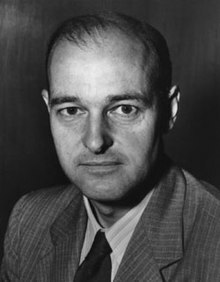 A former US ambassador to the Soviet Union, Kennan also lamented the West’s lack of “understanding of Russian history and Soviet history”. Russia has indeed something of a troubled past. The country was not only invaded by Adolf Hitler, in the early 1940s – but over a century before Napoleon Bonaparte had attacked Russia too, even capturing a burnt out Moscow in September 1812. A century later, during the First World War, Russia had also suffered major damage at the hands of the Imperial German Army. Kennan himself would live to see president Bush add a further seven countries to NATO in 2004 – the aforementioned Estonia and Latvia, but also Lithuania, Bulgaria, Romania, Slovakia and Slovenia. All except one of these nations (Slovenia) were former members of NATO’s old rival, the Warsaw Pact. Indeed, the official pretext for NATO’s existence, to counter Soviet influence, had ended with the USSR’s demise in the early 1990s. Regardless, over the past two decades NATO has repeatedly expanded, proving again how little can be believed of Western government assurances. NATO further performs the function of an intervention force under the guidance of US command. This can be seen with NATO’s illegal bombing of Yugoslavia in 1999 (including the killing of journalists), and later murderous attacks on Afghanistan, Pakistan and Libya. NATO has been attempting to provoke and intimidate Russia for years, in doing so posing a global security threat. In November 1983, during the late Cold War era, NATO conducted aggressive military exercises designed to penetrate Russia’s defenses – mimicking naval and air attacks, and even a nuclear alert. According to Israeli historian Dmitry Adamsky, these maneuvers “almost became a prelude to a preventative [Russian] nuclear strike” that was “the moment of maximum danger of the late Cold War”. This was more serious than historians had previously believed, with the NATO actions already coming at a time of major tension. In December 1983, fulfilling a promise from months before, the Reagan administration began deploying 16,000 pound Pershing II ballistic missiles to West Germany – which sparked major protests in the US and Europe, mostly organized by the Campaign for Nuclear Disarmament (CND). Over a million people poured into the streets of West Germany to remonstrate against the missiles’ impending installment, the largest such gathering recorded in postwar Germany. President Ronald Reagan had recently announced the Strategic Defense Initiative (“Star Wars”), a ballistic missile system, which coincided with his denouncement of the USSR as “the evil empire” in March 1983. Any such missile “defense” systems were interpreted on all sides as a first-strike weapon, in reality an attack system. All of these actions caused serious concern in Russia, which was vulnerable and lacked the security enjoyed by the US.